Our passion for travel dates back over 3 decades and defines our style: exciting, adventurous, cultural and one of discovery. Since that time, we have created and expanded our portfolio to incorporate a vast collection of destinations, from the polar reaches to the heights of the Himalaya. Since our beginnings we have provided outstanding adventures to the far remote corners of the world specialising in destinations and places that are different, sometimes a little off the beaten track, but always fascinating, educational and above all enjoyable for those journeying with us. Whether you select an expedition cruise to Svalbard, an exhilarating tour to the India Himalaya or a tour of discovery to Madagascar, Ethiopia or the icy blue waters of the Antarctic. It is our spirit of adventure and affinity with inspiration and the good-life that becomes evident in the magnificent touring opportunities we create. Is the leisurely way in which we conduct our tours and cruises. This is your holiday, and it should be just that – a relaxing, stress-free experience. With that in mind, taking a trip with Adventure Associates gives you the freedom to relax and travel with the confidence of knowing that all your needs have been anticipated. The experience begins as soon as you contact us to request one of our expedition manuals. One of our friendly and efficient tour consultants will be there to assist you exclusively, from the initial booking process to your departure, and will also be there to assist you with any help you may need during your travels. 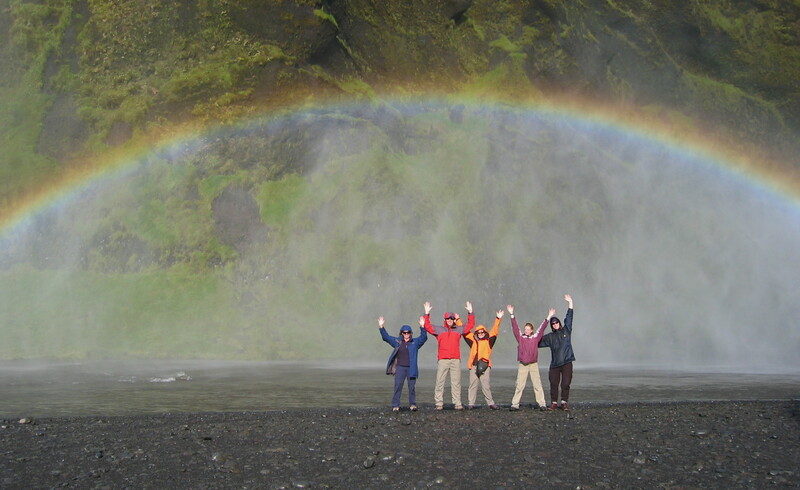 Why Tour with Adventure Associates’ Small Group Tours? If touring in a traditional large group isn’t for you and the idea of sorting it all out for yourself doesn’t appeal, a small group journey might be just the answer. As part of an Adventure Associates’ smaller group, you’ll experience a totally free style of travel. A different kind of attitude and a far more personal experience awaits you. And, you’ll be traveling with likeminded folk. Our average group size is just 4-12! This makes for a stronger group spirit and a greater sense of camaraderie. More fun & more flexibility! It’s like being on holiday with a group of friend’s… travellers from all walks of life that you can share your day-to-day travel experiences with. And being smaller makes it easier to take those special little detours off the beaten track to visit places the larger vehicles and tour groups can’t. We aim to include as much as we can in the cost of our tours, allowing you to sit back and relax and enjoy the experience in the knowledge that everything is taken care of. This means that Adventure Associates tours represent value for money, an important factor when making a decision on your next travel adventure. Check our inclusions and you will be pleasantly surprised that there are no extra hidden costs or “optional activities” that you need to factor in your budget. Often we hear travellers say that they wish they had longer to explore and enjoy the places they visit. That’s why our itineraries purposely keep travelling time to a minimum. Our holidays are not about long days and rushing from one place to another. With such an incredible choice of things to do and places to see throughout the countries we visit, we set out to give you plenty of time to sightsee, relax and savour the lifestyle and culture of the various places. Accommodation is usually high up on the list of importance on any holiday. At the end of a day’s travel or activity, you’ll want to freshen up and relax in comfort. That’s why we have carefully chosen the accommodation for their level of comfort, amenities, friendly staff & service and their convenient location, And of course in certain more remote areas the best available. One of the great benefits of our trips is that they allow you to be independent but provide security and company whenever you choose. On any given departure, you’ll find a mix of couples and friends travelling together plus other solo travellers like yourself, with a large percentage of repeat clients that have travelled with us time after time. Our Tour Leaders are passionate about their work and love nothing more than accompanying our small group tours to the four corners of the world. Every trip (subject to minimum numbers) is fully accompanied by a Tour Leader who will ensure every aspect of your holiday runs smoothly, provide you with friendly advice and give you a fresh insight into the destinations you are visiting. They’re only too happy to go that extra mile to make sure you have the holiday you deserve.